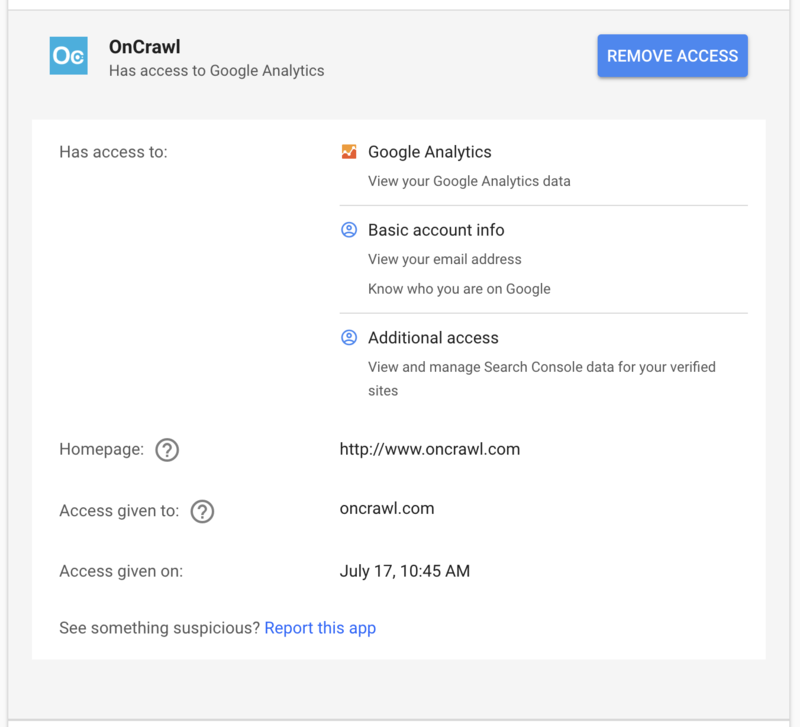 If you no longer want to use your OnCrawl project with your Google Analytics or your Google Search Console data, you can disconnect your Google account. Here's how. You must be signed in to your Google account. This procedure will remove BOTH your Google Analytics and Google Search Console connections. If you're interested in only removing one, disconnect both and then reconnect the access you are interested in keeping. 1- Go to your Google accounts page at https://myaccount.google.com/. 2- Under "Sign-in & security", click on "Apps with account access". 3- Under "Apps with access to this account" click on "MANAGE APPS". 4- In the section "Third-party apps with account access", click on OnCrawl. 5- Click the "REMOVE ACCESS" button and confirm the action by clicking "OK". 6- When you return to OnCrawl, open your project and click on "ADD DATA SOURCES" to access the area where you can manage connected accounts. 7- Switch to the "Google Analytics or "Google Search Console" tab. The account for which you removed access will show up with the mention "Token Revoked". 8- Click on the X to remove the account from the project. 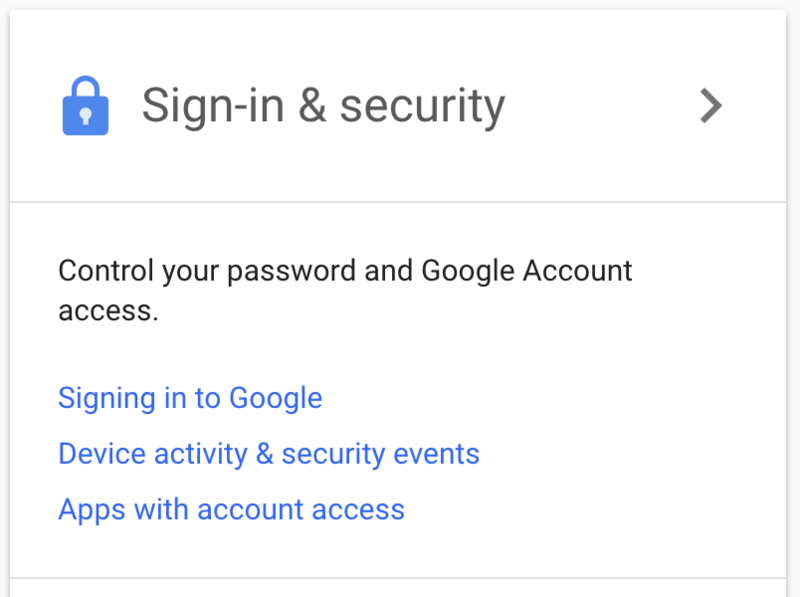 If you disconnected your Google account by mistake, you can reconnect it following the instructions to connect a Google account.